We can observe several things: A growing crowd of people had been following Jesus for several days, listening to His teaching, witnessing his powerful miracles. There was growing expectation. They would not leave him alone. It was getting late. They were in an isolated place. Jesus felt compassion for them, because they were like sheep without a shepherd. And there is one more observation we can make about the context. John alludes to it in the preceding verses. “…do not think I will accuse you before the Father. Your accuser is Moses, on whom your hopes are set. 46If you believed Moses, you would believe me, for he wrote about me. 47But since you do not believe what he wrote, how are you going to believe what I say?”(John 5:45-47). What was it that Moses had written? John tells us after the miracle, so we are in no doubt. Moses had actually promised, “The LORD your God will raise up for you a prophet like me from among you, from your own people. You must listen to him.” (Deuteronomy 18:15). But how would the people know when God had sent such a person? Well what was the greatest miracle God performed through Moses? The provision of food for 40 years in the wilderness. Every morning God had provided bread – Manna in the wilderness for his people. Do you see the link? In this miracle, Jesus is identifying with Moses, pointing to Moses, but going beyond Moses. As we shall see in a couple of week’s time, in a subsequent conversation, Jesus has to explain the significance of the comparison with Moses. This is the context for the miracle. John wants us to see in the preceding verses and in those that follow, that Jesus is like Moses, Jesus is the fulfilment of Moses, but Jesus is also greater than Moses (Hebrews 3:3). This was therefore much, much more than about providing a free lunch. 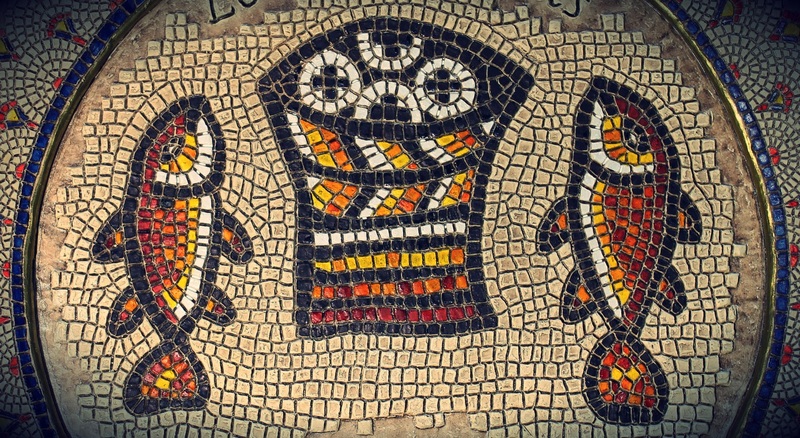 The context of the miracle of the loaves and fishes. Behind this miracle was a test. A test for the disciples. The problem, of course, was how to meet the needs of such a vast crowd of people in such a remote place, at such a late hour. Three solutions are proposed. The first response was what we might call, “the laissez-faire approach” In response to the people’s hunger, the disciples told Jesus to send the people away to find their own food. It is not my problem. Am I my brother’s keeper? Indifference is common when we are overwhelmed by the enormity of human need. Last week it was Pakistan. This week it is Bangladesh. We can easily feel helpless and as a result become immune or indifferent to human need. The disciples thought this was the best way to solve the problem. They are on their own, let them take responsibility for themselves (see Matt. 15:23). But Jesus knew that the hungry people would faint on the way if somebody did not feed them. They were like sheep without a shepherd. It was evening (Matt. 14:15), and that was no time for travel. So Jesus turns up the heat. “Jesus answered, “You give them something to eat.”(Mark 6:37). If the immediate response was one of indifference – a lack of compassion, the second response was one of insecurity – a lack of faith. The third response came from Andrew. Even though he was not quite sure how the problem would be solved, he nevertheless took the initiative, even if it seemed so insignificant. He found a little boy who had a small lunch: two little fish and five barley cakes. Jesus honoured this initiative. He took the little boy’s lunch. He blessed it, broke it, gave it and multiplied it. And they distributed it, as much as they wanted. The miracle took place in the hands of the Saviour, not in the hands of the disciples. 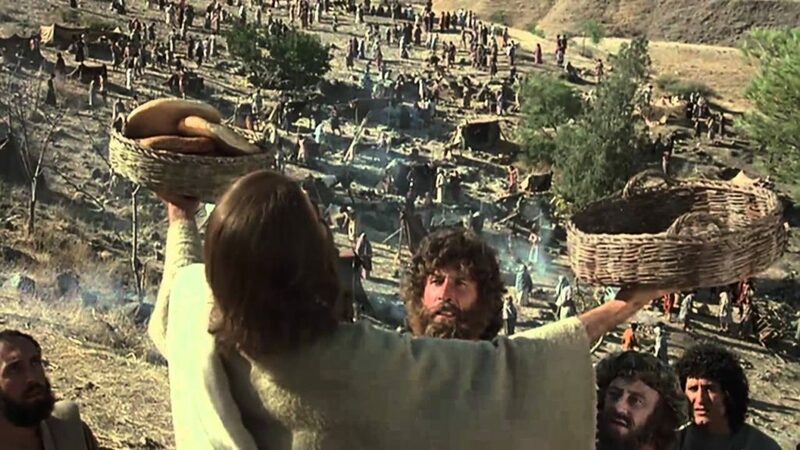 He multiplied the food; they had the joyful privilege of passing it out. Not only were the people fed and satisfied, but the disciples collected twelve baskets of fragments for future use and as visible proof of his miraculous power. The Lord wasted nothing. The practical lesson is clear: whenever there is a need, give all that you have to Jesus and let Him do the rest. Begin with what you have, but be sure you give it all to Him. Like Andrew, you might feel that what you have will not go very far. We cannot do this in our own strength. But God will take what we offer and multiply it. The little boy is to be commended for taking the initiative in sharing his lunch with Christ. He was willing to go without so that others might eat. And God multiplied it and satisfied their hunger. Three responses to the conundrum, the test. The context and the conundrum. Before the miracle, Jesus rebukes the people for not believing the words of Moses. Afterwards he hides because they have misinterpreted the words of Moses. They wanted to precipitate a rebellion against Rome. They want to make him their king. Jesus repudiated any notion of ruling over an earthly kingdom. At his trial, Jesus was emphatic, “My kingdom is not of this world…” (John 18:36). He reigns on high at the Father’s right hand in heaven and will come one day soon to judge the living and the dead. It is significant that twice John mentioned the fact that Jesus gave thanks (John 6:11, 23). Matthew, Mark, and Luke all state that Jesus looked up to heaven when He gave thanks. By that act, He reminded the hungry people that God is the source of all good and needful gifts. This is a good lesson for us: instead of complaining about what we do not have, we should give thanks to God for what we do have, and He will make it go farther. The context, the conundrum and the consequences of the miracle of the loaves and fishes. Indifference, Insecurity or Initiative. Which is it to be today? Jesus was testing his disciples. In what way will he test your faith this week?